Are YOU Ready For The Video Gaming Time Of YOUR LIFE Player ONE? I visited PLAY Blackpool earlier this year and had the time of my life! Now the PLAY Bus takes its retrogaming brand of fun to Margate for another long weekend of high jinks, consoles, arcades and cosplay, what more could you need? Maybe a bit of Chas N Dave to get you in the mood? Anyway, now you are in the mood for a bit of Margate mayhem let me tell you all about what the crazy cats at Replay have in store for YOU! Imagine the perfect game of Pac Man unfolding before your very eyes........YOU could witness history in the making as Pac Man world champion Jon Stoodley will be attempting a perfect game of Pac-Man live at PLAY Margate. This feat has only ever been recorded and achieved by one other person, the infamous Billy Mitchell! PLAY Margate will feature a whole host of video gaming-related treats for the retro gaming troops! Let's start off with some retro gaming and classic arcade cabinets. Then let's have a flip and a flap on the coolest pinball tables in the UK. 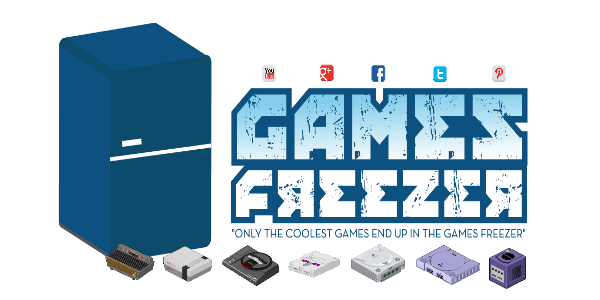 Let's move onto a lovely array of indie games and finish off with some of the most modern PC and console games! 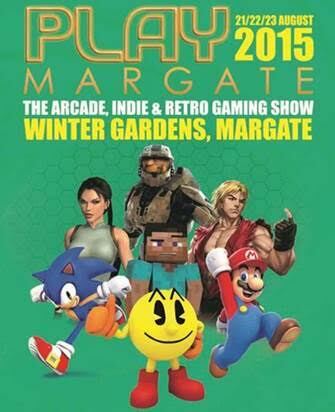 Yes PLAY Margate is a true celebration of gaming both old and new. If you love competitive play then get involved in the cool tournaments. Then there's ‘The Ring’ a 16 screen gaming carousel will host both casual and competitive head-to-head LAN gaming on some of the best ‘FPS’ and driving games of recent times. Hold onto your Minish caps because there's the cosplay contests for all the exhibitionists out there! Roll up for the Video Game Carnival which will bring the quirkier side of gaming to PLAY Margate with Lazer Pong, first person Scalextric and giant Gameboys to enjoy. 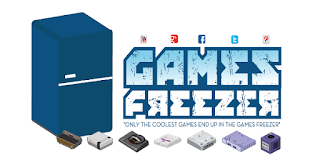 Once you are done with the coolest day out in the UK why not get footloose with TWO awesome after parties run by GamerDisco that that will mix gaming, music and live entertainment! Tickets are priced from an awesome £7.50! For more information you can go to the following links. This is one event that will bring a smile to your face once you enter the event and the smile will last until the next event! Don't miss out, take the family down to Margate and get Chas N Dave on the stereo on the way down!